Yes and no. London is not typical of Britain in demographic, and therefore in political, terms. I’m wondering if a seat like this might end up being a candidate for the rare accolade of “two-party vote share most increased since 2010”. Low UKIP potential and the Liberals will probably melt a long way. lab 46 con 32 ukip 9 lib dem 8. good figures for labour. This has labour gain all over it. I agree with James. When you visit areas of this seat, it seems demographically very well disposed to Labour. I’m surprised that the Conservatives have done so well in keeping this seat as marginal as it is. I am surprised it hasn’t really trended particularly towards Labour, unlike the equivalent Ealing seats. That said, this seat is definitely moderately affluent commuter territory, which helps make it is so marginal. Still not sure about Hughes losing to Labour. Ditto Ed Davey to the Tories. Now I’m fairly convinced that this one will go to Labour. Those are good figures but on the front page there is a recent ICM London poll for the Guardian and it shows Labour on 42% and the Tories on 32%. That repesents a 4% swing to Labour. Apply that to this seat and it’s a dead heat. I still find this one too close to call. two london-wide polls since have been rather better for labour. canvassed in ealing broadway ward last night, in a very tory part of the ward (the part which was in argyle ward in ealing north until 2002). visited undecided voters, uncontacted & previous labour voters to firm them up. quite encouraging results. some greens & lib dems canvassed earlier this year now swinging towards labour and labour supporters (not by any means a rarity even in ealing broadway ward) looked solid. there was also a canvass in acton but l haven’t heard the outcome yet. so far acton has looked very good, though of course that’s not very surprising. robin, l’d be interested in how you see the nationwide result. are you still forecasting a tory lead of 6%? that seems very unlikely at present to me at least. Remember in 1992 Labour and the Tories went from being neck and neck in the polls at the end of the campaign to a tory lead of 7% in the actual result. It could happen again. The signs are already looking encouraging for the Tories, especially the continued gradual decline in UKIP support. Although to be fair I think the Tory lead in the popular vote will be more like 3 or 4%. Ed M needs to fight a good campaign (he has made a reasonable start in my view) if the expected slow but significant move towards the Tories is not to occur in this campaign. 1970, Oct 1974 and 1992 are good previous examples of this. Agree with Adam that a 3 or 4% Tory lead at the end of the campaign is likely, but this is far from inevitable and there could yet be some game changers. I would describe the Tory mood as hopeful but febrile and if the polls don’t start to show a clear shift soon, panic could start to break out. ADAM: I have been saying this for five months. All true, but not inevitable. There is also a good deal of dissatisfaction with the proposed scale of the Tory cuts, living standards for the many rather than the few and also I think with the negativity and barrenness of their campaign so far. The Conservatives cannot simply win this election by default, i.e. waiting for the ‘inevitable’ late swing or they may have a nasty shock coming. You do know that the polls were simply wrong in 1992, don’t you? That is the only way Labour might end up 7% behind. The group consensus on this site, partly based on the 2014 local election results, is that Labour will perform above the national average in London. On that basis this seat must be in their sights, especially given the large Lib Dem vote which can be squeezed. The assumption does however pose the question as to where Labour will underperform. Aside from Scotland and Wales, the East Midlands? Above average even IMO the North West, which appears to be one of their better regions outside London. Polling in Wales recently showed a slightly increased lead from 2010, but that only seems to only translate into 2 gains in Cardiff. The Tories have retained their 2010 vote pretty well. The North East will remain fairly static since they already hold all but 4 seats. Redcar should be a gain despite utter chaos in the Labour council group reported recently. Stockton South could be one of the most surprising Tory holds of the election. The small majority seems to be misleading. I agree that Stockton South looks dicey for Labour, which is a shame as I used to know the Labour candidate there who really deserves to be an MP. Hawthorn – If Labour don’t win Stockton South there is no way they will have the largest amont of seats in May. Stockton South and Brighton Pavilion are the only “low hanging fruit” seats that Labour possibly won’t win, but that doesn’t necessarily mean they won’t (narrowly) win most seats. The swing isn’t uniform everywhere. Recent Ashcroft polling had them 5 points ahead of the Tories in Stevenage. At the risk of going OT, Thurrock is also an unknown due to UKIP. This is very naive…UNS doesn t mean that every seat mathematically falls in the way the swing occurs. Labour could fail to win Stockton South and win Dudley South. this isn’t outlandish. In reply to Barnaby’s earlier question, yes I still stand by my forecast I’m afraid (though I naturally hope it turns out not to be true). There is a chapter in the Butler & Kavanagh 1992 election book entitled “The deceptive campaign” and I fear that that is what the 2015 campaign is too. The Tories do seem to be edging ahead (out of the seven national polling companies only Survation still gives Labour the edge) and although a lot could still happen my sense is that there will be a small but significant last-minute shift to the Conservatives. Please don’t ask me why I think that – it’s just a gut feeling. In this seat I think Labour currently has a slight lead, though not as great as the 6% advantage implied by last autumn’s Ashcroft poll. I personally would put our current lead here in the low single digits. The question is can it withstand any further pro-Tory ‘swing back’ (and we also need to factor in the evidence that the polls during this parliament have been marginally understating the Conservative performance in the actual ballot box). Overall that is why I find this seat very difficult to call. It is also why I am spending what little energy I have in this seat. Last week, despite my Chronic Fatigue Syndrome, I managed to get to the Acton Labour Hall for a spot of telephone canvassing. (Among the people who joined me in the telephone bank was Ealing Council leader Julian Bell, a real campaigning stalwart and someone who is currently the subject of an attack on the front page of the latest local Tory ‘In Touch’ newsletter). I was given the Acton Green Church area to canvass (basically the Chiswick/Turnham Green area where the 94 bus terminates) which is real gentrified Lib Dem territory. I don’t think I would be giving away any campaign secrets if I was to say that it was impossible to gauge a clear trend, not least because so many of the calls I made were answered by machines. After a while I decided to start leaving messages to let each elector know we had rung: I tried for the deferential vote by emphasising that our candidate was DOCTOR Rupa Huq and also highlighted the fact that she lives in Ealing and has been taking an active roll in campaigning to maintain NHS hospital facilities in West London. An interesting straw in the wind: I had a conversation with a professional 30s-something bloke who was undecided between Labour and the Conservatives for the following reason: he was worried about the economic uncertainty which might be caused by the Tory commitment to hold a EU referendum, but he was also worried about what effect an incoming Labour Government might have on the economy. Paradoxically he was also concerned about the possibility of a third runway at nearby Heathrow. (I say paradoxically because most business people regard the implementation of a third runway as an integral aspect of Britain’s future competitiveness, and he did seem to be coming at the issue of who to vote for very much from a business point of view). Perhaps understandably he told me that the imposition of runway three would cause blight to his area. Overall he, like many of those I spoke to, came across as quite liberal and intellectual (as one might expect from the Acton Green area) though it needs to be said that there was an assortment of views about Europe: the next respondent I spoke to (an elderly woman) told me she was worried about the EU ‘open door’ policy. ^^^ I don’t think anyone will be particularly surprised by this telephone canvassing experience and I don’t think I’ve given anything away. As to when I can next get to the Acton campaign HQ I’m not sure – I certainly paid the price in terms of chronic exhaustion when I arrived back home from this week’s visit. tories 6% ahead? very brave. and almost certainly wrong. this is not the 90s – the polls have been very close to the actual result in both the last two general elections. besides, the perception that the tories are ahead can only be gained if you only look at the last two yougov polls. it’s crystal clear from the polls as a whole that the parties are dead level – indeed, the latest one shows precisely that. Barnaby, I hope you are right. The polls suggest that the swing in London will be greater than average to Labour. Hence I have to see this as very winnable. Labour majority of 1800. Robin I find your pessimism bizarre, although I recognise it may be founded in tactics. In fact I think Lab gain Brent Central, Hornsey & WG, Croydon C, Hendon, Harrow E, Brentford & Isleworth and I’m going to take a punt at Enfield Southgate…. l’m not quite as optimistic as that, at least at present. After a (pretty good, l thought) canvass in Ealing Broadway ward, l walked with Rupa Huq towards Haven Green. I said to her she must be the bookies’ favourite, and she said she had no idea. l noticed a Ladbroke’s opposite, and persuaded her to come in there with me – she said she’d never been in a bookies before – and we managed to get the clerk to find the latest odds. Labour 4-6, Conservative 11-10. This made her rather happy. that would be the implication of the bookie’s odds, l guess. lt seems about right to me as things stand. She has the right to be a little confident I guess and good luck to her – but the bookies odds imply a 40% chance the Tories will win here. If you informed her of that she may not have been quite as happy. With the Ashcroft poll within MoE, inter alia, this is one seat I have down as a CON hold – just. Even I, with my unsurpassed expertise, find this one absolutely impossible to call. Expect a big swing to Labour in neighbouring Ealing Southall, though – there are masses of Labour posters and not a single Tory one as far as I can see. (Last time when Kalistani Sikh Gurcharan Singh was the Tory candidate he ran Labour quite close in terms of poster displays). Surprise…. Robin Hood still cant call a spade a spade despite solid evidence to the contrary. 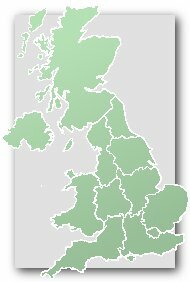 Look at the Ashcroft polls and every single London poll indicating that Labour lead and campaign in London is v strong. This will be a Labour gain. If Labour are ahead in the likes of Finchley. This will be a solid gain. Remember Robin Hood predicting Tories would hold Brentford and Isleworth – v confident that Labour majority in that seat will match or surpass majority in 2005. Is the surpising increase in Labour support in the Ashcroft polls in leafy seats like here, Harrow East and Finchley and Golders Green simply down to white flight and an increase in BME residents or is Miliband starting to do a Blair and attract middle class white voters to Labour? Sure BME is a key driver. Another might be the growth of private renting. I note above that the Private Rental sector has reached a giddy 37% in this seat. The “Queen of the Suburbs” no longer appears to equate to the Owner Occupier dream. And I also note that when Cameron was speaking at an event in Leeds today and was specifically asked about regulation of the private rental sector , he gave a notably slippery answer. I would draw the line of Labour London advance here…I believe the Conservatives will hold the Labour longshots of Battersea, Ilford North, Finchley and Southgate. Dalek – Enfield Southgate is trending towards the Tories and I can see Labour gaining it in 2020. Earlier this week I created a somewhat acrimonious debate with my observations about the extension of Right to Buy – but I’m largely unrepentant because I strongly believe that Housing is an important but underrated factor in this election. The parties seem to have largely ignored the private renters , who I feel have lots to complain about. They now form an important voting group – increasingly located in swing suburban areas. The Right to Buy transformed former bell weather seats like Ealing North into what appeared to be ‘safe Tory seats’ but many of the Right to Buy properties over time have become private rents…re-instating Labours previous advantage. At the same time more and more traditionally owner occupied areas have become areas of significant private renting….making many London seats more advantageous for Labour than ever before. Dalek – I was meant to say in my last post that Enfield Southgate is trending towards Labour. as has been said before, there is little or no “white flight” in Finchley & Golders Green. To be fair, Robin Hood has tended towards a Labour gain in Brentford & Isleworth – one of the rare variations in his usually gloomy outlook. Yes. Usually Robin Hood is so bleak that he is predicting Tory gains in Bootle and East Ham. If Labour do gain this it certainly won’t be with a 3,000 majority. Thanks for clarifying my position on Brentford & Isleworth. I cannot remember ever having predicted that it would be a Tory hold and indeed I posted at length on that thread after last year’s local & Euro election about how ‘swing back’ would in all probability make it closer than it was in May 2014 but probably not close enough for Mary Macleod to hold on. Later last year, in response to an Ashcroft poll giving Ruth Cadbury a double-digit lead, I came off the fence and called it firmly for Labour (although I still think Labour will only end on a single-digit lead). Ealing Central & Acton is a different case though. After the Tories held the lead in the 2012 GLA elections I was inclined to think Angie Bray would be safe here but the May 2014 local elections saw Labour secure a 3% lead and so Rupa Huq must be in with a shout. By the way – the relative strength of Tory and Labour in England has essentially not changed since May 2014. (In the local & Euro elections of that month Labour had a lead of between 1% and 2% in the projected national share and although it is now even-stevens that total closing of the gap is due entirely to our collapse in Scotland). So I rather think that the 3% Labour lead in this seat in May 2014 is still there today (and that that 3% is more accurate than the 6% implied by Ashcroft late last year). So in order for Angie Bray to hold this seat the Tories nationally need to cut to an inside straight and actually be ahead in the nationwide popular vote. That will require a pro-Tory last-minute swing and of course we saw that in 1970 and 1992 there is some basis of historical precedent for that occurring (bearing in mind that the difference between the final polls and the result in ’92 was not all down to methodological error). If the Tories are ahead by 5% nationally on May 7th then this will be a Conservative hold but if the two parties remain neck-and-neck (as now) then Rupa Huq will be the new MP. Anything between a 0-5% nationwide Tory lead and this seat is simply going to be desperately close – and the same is true of Croydon Central. Barnaby – my advice is forget about Brentford & Isleworth and concentrate your final few weeks on Ealing Central & Acton. It does annoy me when people talk about “white flight”. Because someone moves out of an area that doesn’t mean they are doing so because of the colour of their neighbours. Twenty-six years ago I moved from Croydon to Southall. Conversely I have a Sikh friend who has moved out to rural Hertfordshire having been born and brought up in Southall. Are these examples of “white flight”…? Robin’s post is deeply ironic in one detail – despite being consistently the most pessimistic Labour supporter on this site, he’s calling Brentford & Isleworth confidently for Labour & telling me to work pretty much exclusively here. l sort of agree with that but l’m not going to abandon Brentford & Isleworth altogether (although it is a few days since l’ve been) – not yet. There are still 2 & a half weeks to go and if Robin’s 5-6% Tory lead were to eventuate it would still be winnable for the Tories – though l don’t see the Tories doing as well as that nationally.